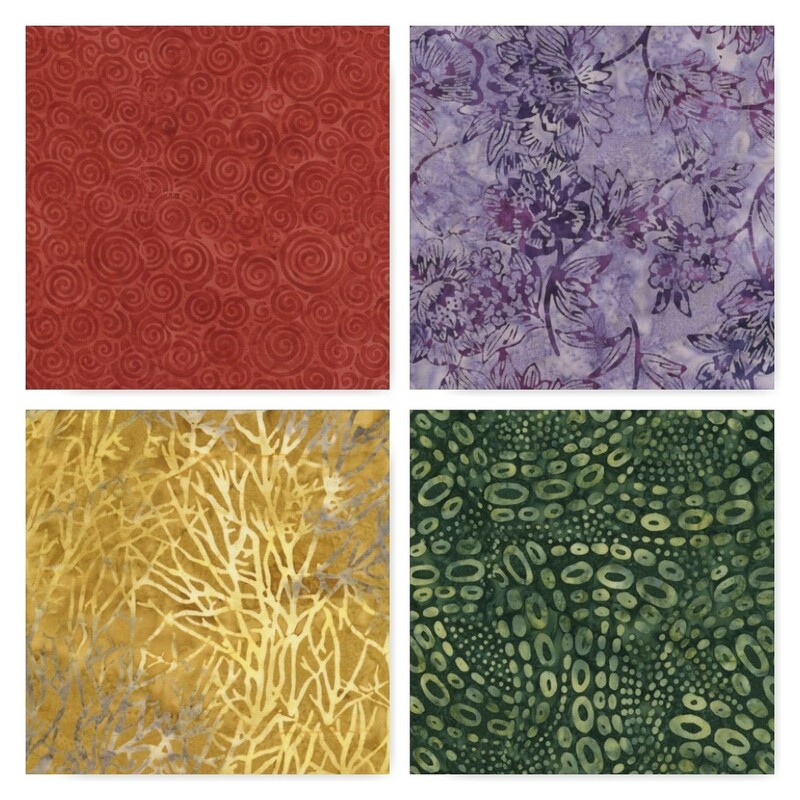 Every Year, Quiltworx.com releases between 3 and 5 batik collections including many fabrics designed by Judy and Judel Niemeyer. 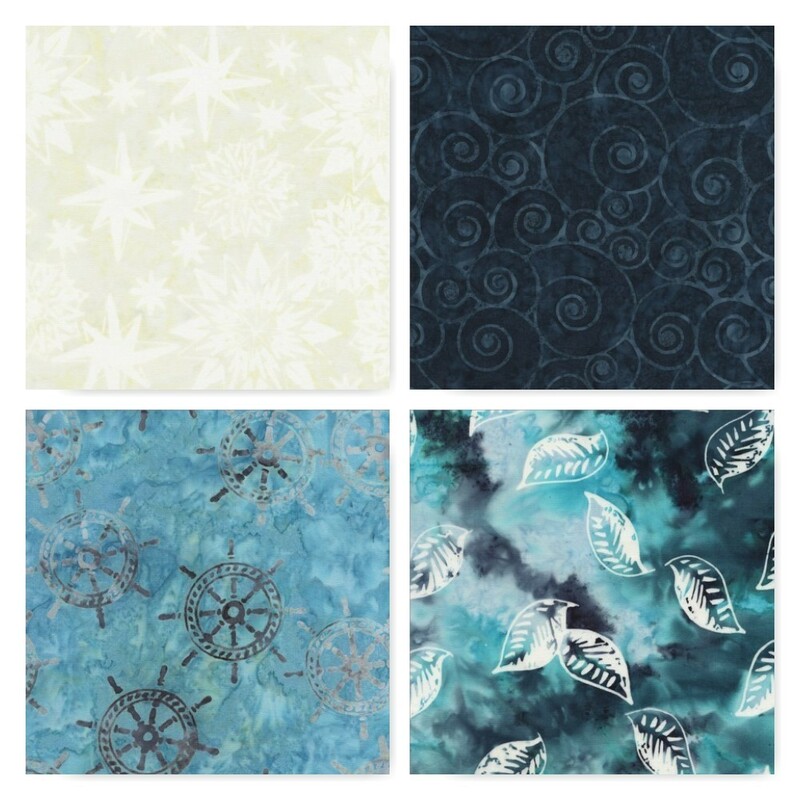 The current Collections are listed below and can be found in your favorite local quilt shop! These collections come in Treat collections as well, including 5” squares, 10” squares, 2-1/2” strips, 6” strips, and Fat Quarters. Many of our designs use the pre-cut packages and can be created in any of the collections for a unique and fun look! 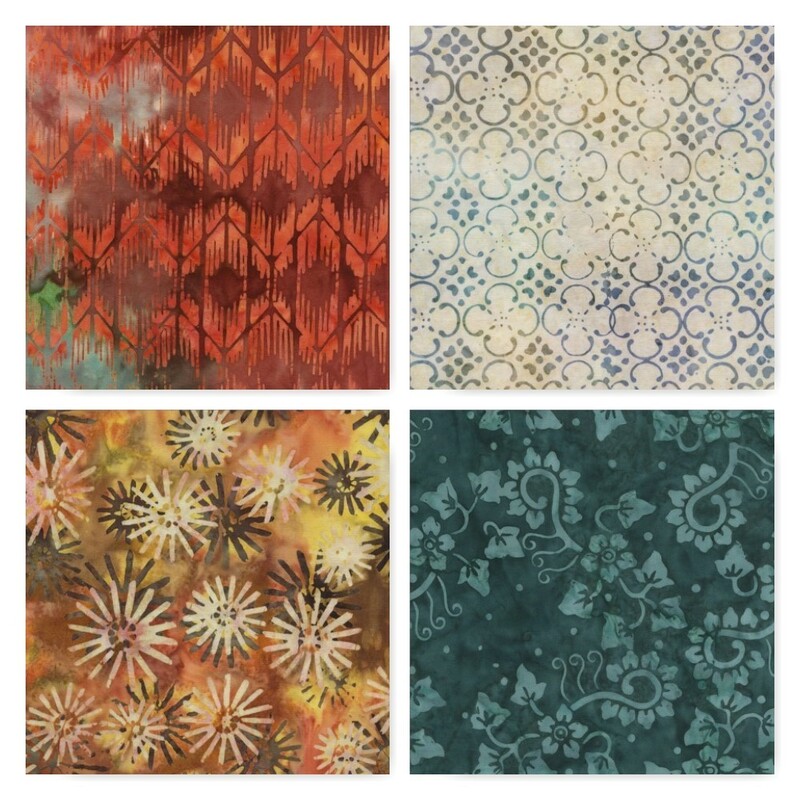 Check out the album below for more examples of quilts created using these batik collections! 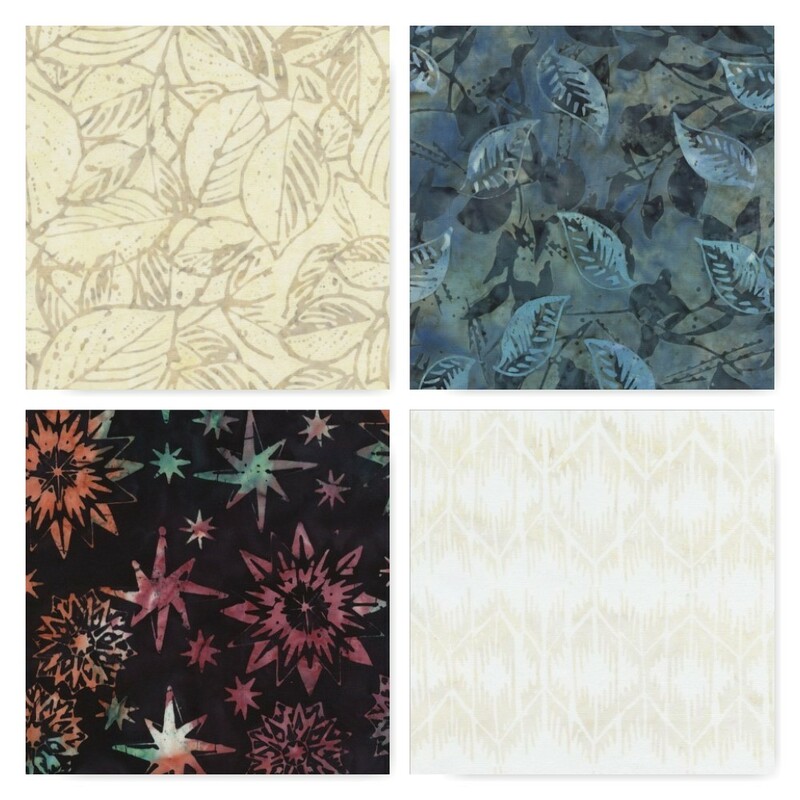 Prickly Pear (from the Geese Migrations Book) and designed by Certified Shop, Quilter's Market, made from batiks included in the City Lights, Citrus Mint, and Painter's Palette Batik Collections. The Bird of Paradise Collection, used to create the lated Quiltworx.com Technique of the Month, Paradise in Blooms! This collection was picked to mimick a parrot, the Bird of Paradise! It looks wonderful in this design! Quiltworx.com and Timeless Treasures. Quilt was made and quilted by Certified Instructor, Tammy Doane. 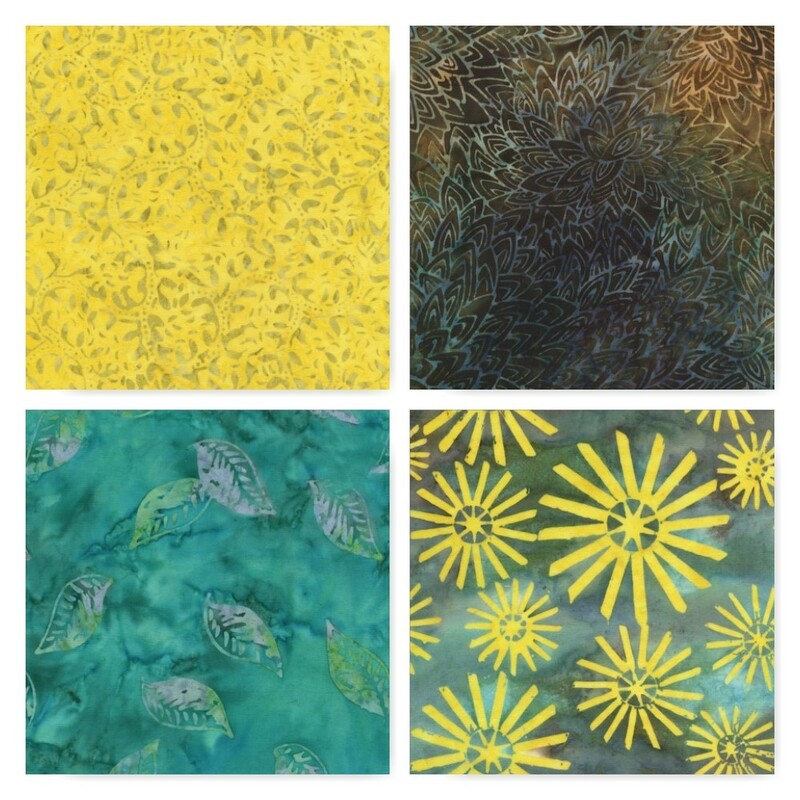 Harvest Moon ~ Quiltworx.com, out of the Citrus Mint Batik Collection by Judy and Judel Niemeyer, Timeless Treasures. Ripples (Geese Migrations Book), designed by Certified Shop, Cozy Quilts ~ Quiltworx.com, out of Painter's Palette 10" Treats (2 packs) Batik Collection by Judy and Judel Niemeyer, Timeless Treasures. 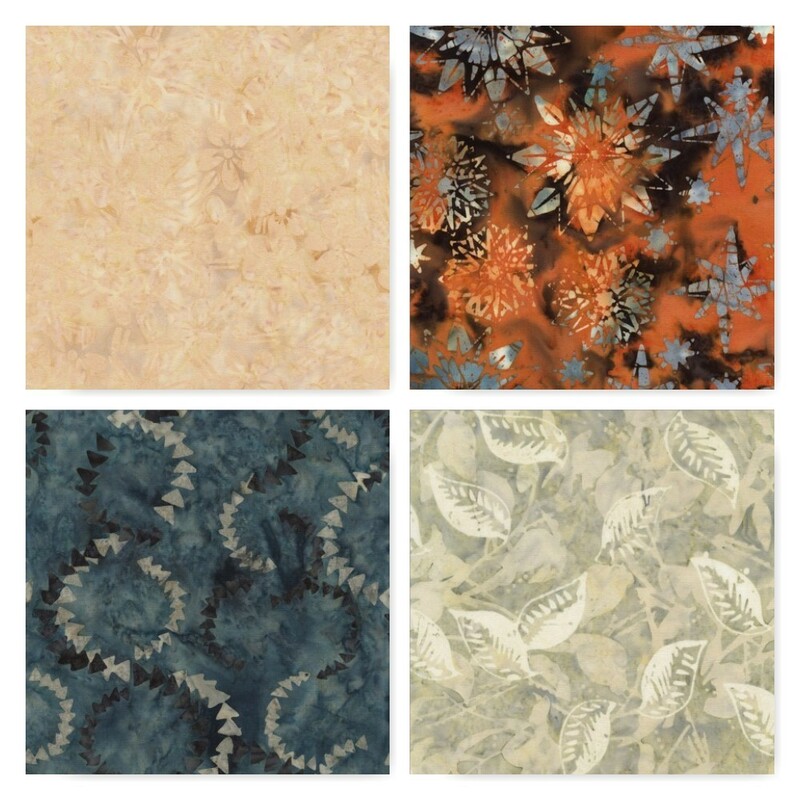 Split Log Cabin ~ Quiltworx.com, out of the Citrus Mint, City Lights, and Painter's Palette Batik Collections by Judy and Judel Niemeyer, Timeless Treasures. This quilt is awesome in that it uses every fabric in the three collections! 40 darks and 20 lights (used twice) to create this wonderful look! A border was added to accent the variation in color!